Literally #1 of 5, this is more like a British deity than royalty. You may not have heard of Piper Cars, but the owner of this P2 helped create it. 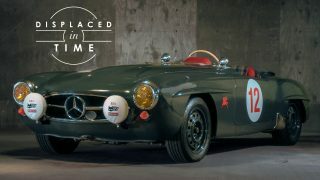 Opening a portal into '50s and '60s roadster racing, this Benz is the business. I believe Caroll Shelby and Roy Salvadori won the 1959 24 hrs of Lemans on a similar car as this one. As Ted Cutting’s grandson I am extremely proud to see this film. All my life we had heard stories and even seen the number one in person a few times at Silverstone. But it’s film’s like this that bring the car to life and Ted’s incredible achievements back into conversation. Around 5:30 or so we learn that to improve the balance this car has a transaxle in the back, like the Lancia Aurelia, which preceded this car by a few years. The improved weight balance was a good idea. That said the gear box failed a few times. Wow wow wow. This is among your finest work, and your work always sets a high bar. The car is unbelievably stunning. How could one man design the chassis, engine, and body. Good lord it dominated! 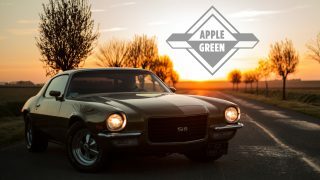 What cars made up the competition? Ferraris? 175 mph on the straight for 24 hrs? Phenomenal video, truely inspired, artistic, and gifted. Yes, but what a race! It beat a host of Ferrari 250 Testa Rosa’s, Maserati 300/450s and Jaguar D-Types at Nurburgring 1000KMS. It even ended up in a ditch at one point! Only 5 Aston DBR1’s were ever made and they, in my opinion, the most beautiful and greatest 50s sports cars ever. They were the first ever British Sports Car to win the World Sports Car Championship. Hands down, the most beautiful car ever built. 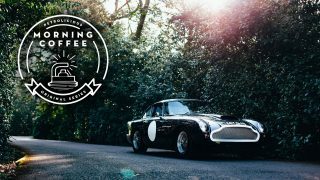 a very good short video..l’d love to drive a DBR1…the nearest l have got is the DB2.. 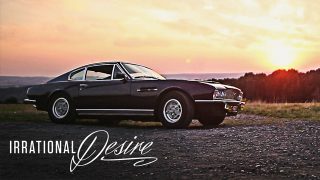 If you want to see the very best video on Astons, get a copy of Victory by Design.featuring Alain de Cadenet. the best motoring dvd collection l have ever seen…he drives all the period racing and sports cars .he has driven more makes and models than anyone living or dead…and he knows his stuff ! Good heavens what a car. I was sold on the beauty and spectacle of this car alone, but the story behind it? You’d be a fool not to spend $20 million on this if you had it. 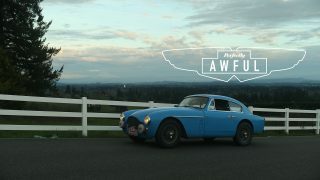 Well done Petrolicious, well done. 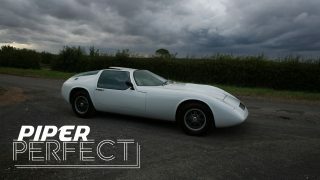 God, do I love this car and this is an absolutely great video. Thanks you guys! Great film and a great car. Will it sell for the $20 million + that has been mooted? Guess we will find out next week. Quite a trove of detailed photographs at the Sotheby’s auction website. Thank you for posting. Interesting to see the medallion for Saint Christopher screwed to the transmission tunnel. It seems to have worked. Sterling Moss was Jewish, of course, but that doesn’t mean it did not put in on there . . . . This is your best video ever. The car. The historian. The historical film footage interleaved with current video. This is simply a lovely job.